This is one of those simple nail designs that I've been meaning to try out for a while. There are a ton of YouTube tutorials, the one by cutepolish being my favorite. Here's my take on it! 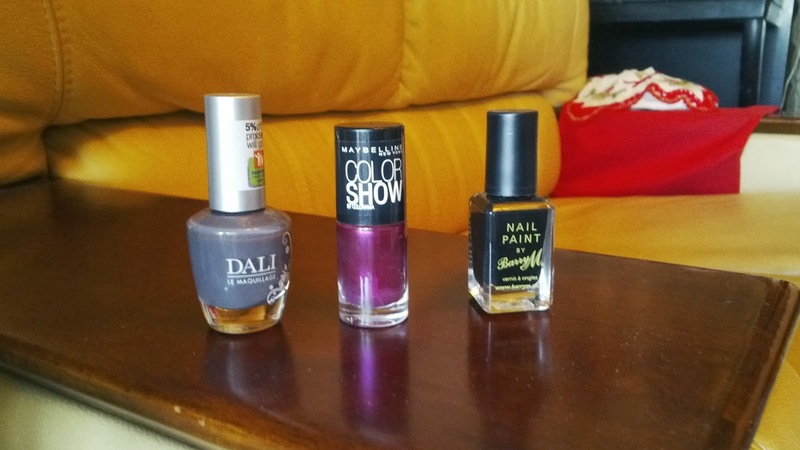 Dali's "Moonlight" from their Fall 2014 collection, Maybelline Color Show and Barry M "Black"
First paint your nail a base color, make sure it's not too dark so that other colors show when you apply them on top. 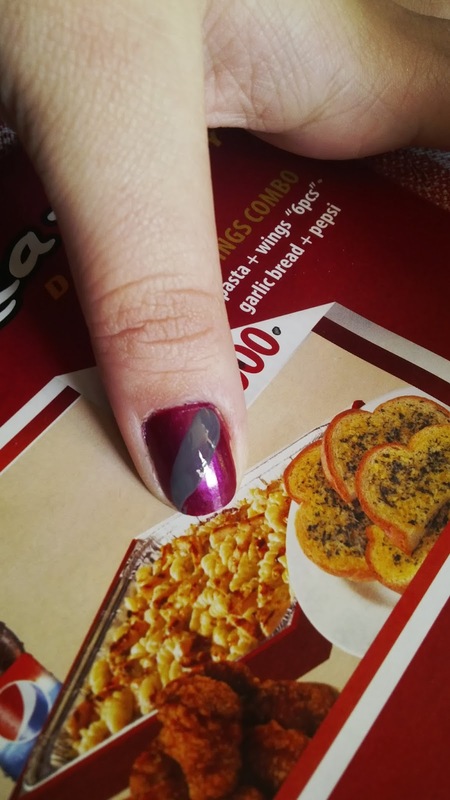 Second make a diagonal line going from one corner of your nail bed to the other corner of your nail tip with your second nail polish. 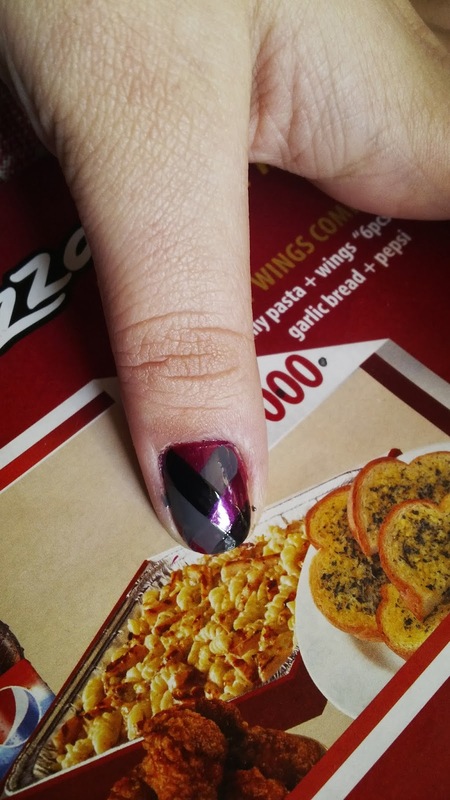 Third make another diagonal line opposite of step two with your third nail polish color, creating an X shape. Fourth make a line that is parallel to your first line (which goes over the second line). Keep making parallel lines, try three by three, until you have completed the braid. 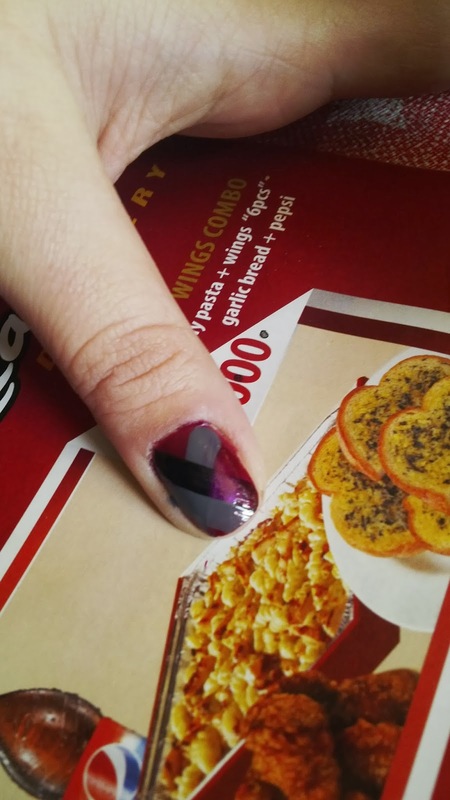 Clean up the sides with a tooth pick and apply your favorite top coat! 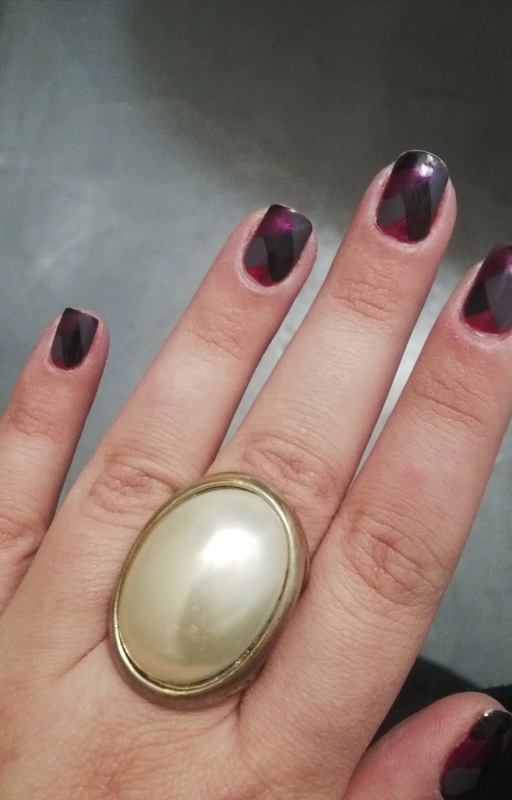 I really like that now nails are become a part of our look! Well done, yours are crazy! You're totally right, they definitely part of an outfit! wonderful polish... i'm in love! Cute design and good choice of colours!